DETROIT -- Addressing an industry conference in Traverse City, Mich., this summer, General Motors' global powertrain boss Steve Kiefer asked a room packed with about 500 people how many owned a GM vehicle. About a dozen hands went up. There were a few groans as Kiefer surveyed the audience for a moment and said: "We'll have to do something about that." That kind of unflappability will help Kiefer in his new role, too -- the eternal hot seat that is head of GM global purchasing and supply chain. During his 15 months in charge of powertrain, he proved to be a poised, polished communicator under pressure with years of experience in senior leadership at Delphi. Kiefer's new assignment is part of a larger executive shuffle GM announced last week that sees three other senior GM leaders take new jobs. Kiefer replaces Grace Lieblein, 54, who moves from vice president of global purchasing and supply chain to vice president of global quality. Alicia Boler-Davis, 45, moves from senior vice president of global quality and customer experience to senior vice president of global connected customer experience, which includes OnStar and its call centers. 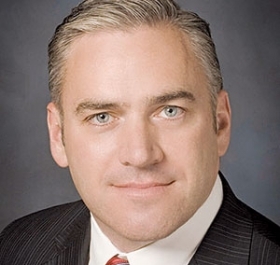 Dan Nicholson, 50, takes over Kiefer's role as vice president of global powertrain. Nicholson had been GM's executive director of powertrain embedded controls, which develops the software that controls powertrains. Boler-Davis and Lieblein will report to CEO Mary Barra. Kiefer will report to product-development boss Mark Reuss. The changes are effective immediately, GM said. Kiefer, 51, rejoined GM in the summer of 2013 after a long stint at Delphi, where he rose to senior vice president and head of Delphi's powertrain operations. He began his career at GM 1983. When GM spun off Delphi, Kiefer stayed with the supplier and worked in several senior leadership positions. He moves to his new job at a critical time for GM purchasing. Since Lieblein was named purchasing chief in December 2012, she has been trying to improve the company's supplier relations. But suppliers have complained that GM's executives and its rank-and-file buyers often aren't aligned. In May, the annual Henke survey of suppliers ranked GM's purchasing operation sixth out of the six major automakers in North America, behind Toyota, Honda, Nissan, Ford and Chrysler Group. Among Kiefer's challenges will be to drive the supplier-relations message from the top through the company's lower rungs.